In November-December 1920, European communism took another step in consolidating itself as a movement after the Second International Comintern Congress in Moscow. The recently established communist party in Great Britain had formed information centers, places that functioned as distributive channels to spread the sanctioned literature of the Comintern. 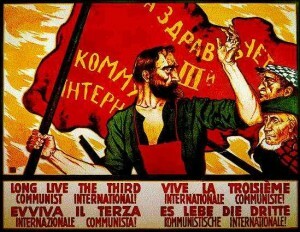 For the British communist movement represented London a crucial hub, where the “B.S.P. Literature Dept. 21 Maiden Lane, Strand, London W. E. 2” and the “Workers Soc. Fed., 400 Old Ford Rd., London E. 3” were the preferred locations to visit, or contact in order to find socialist and communist literature. The Communist Party of Great Britain (CPGB) also had a center in Glasgow at the “S. L. Press 50 Renfrew Str”, and in South Africa at the office of the International Socialist League in Johannisburg (P.O. Box 4179). 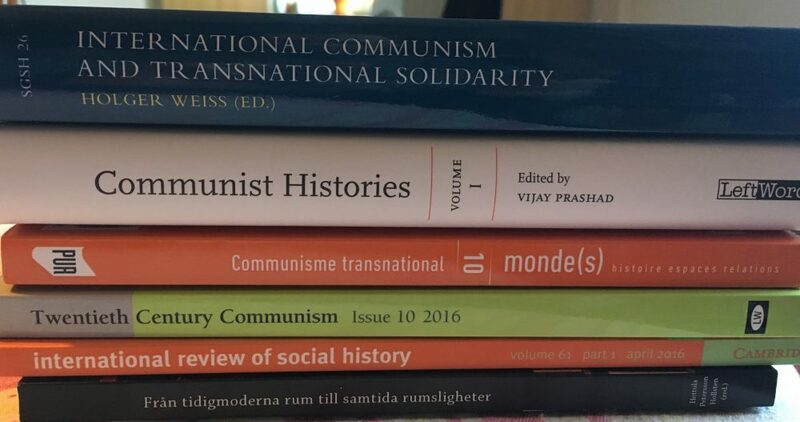 To coordinate the distribution of this canonical literature, the Amsterdam Bureau of the Executive Committee of the Communist International (ECCI), an organisational body established in 1920 on Lenin’s personal instructions, organised and supervised this operation. The functions of the Amsterdam Bureau was to act as a connective administrative hub for the Comintern outside of the Soviet Russian border, involving the control and supervision over the communist movement in Western Europe after the Comintern’s foundation in 1919. In Amsterdam governed the Dutch communist and Comintern emissary Sebald Justius Rutgers the bureau, while in Berlin, the so-called “partner”, the West European Secretariat, was run by Yakov Reich (“Thomas”). Ch. Beard, Industrial Revolution; Bela Kun, Revolutionary Essays; T. Brady, Historical Basic of Socialism in Ireland; [?] Clarke, The Story of Robert Burns; J. Connolly; Labour in Ireland; [?] Déslinierès, Coming Socialism; A.C. Doyle and J. McCabe, Truth of Spiritualism; [?] Fairchild, Socialism and the League of Nations; [?] Gallacher and J. Campbell, Direct Action; [?] Goode, Bolshevism at Work; H. Gorter, Ireland: the Achilles Heel of England; H. Gorter, The World Revolution; [?] Hay, The Beardmore-Vickers Octopus; B. G. Horniman, Amritsar and our Duty to India; Lenin, Chief Task of our Times; Lenin, Collapse of the Second International; Lenin, Land Revolution in Russia; Lenin, Proletarian Revolution; Lenin, Soviets at Work; Lenin, The Proletarian Revolution; Lenin, Thesis: Democracy and Proletarian Dictatorship; Lenin, Towards Soviets; D. de Leon, As to Politics; M. Litvinoff, Bolshevik Revolution; N. Lenin, His Life and Work; [?] Maclean, Coming War with America; [?] Maclean, Condemned from the Dock; [?] Maclean, War after the War; Malone, Russia Republics; R. Marchand, Why I Support Bolshevism; [?] Money, Fifty Points about Capitalism; Rajani Palme Dutt, The Two Internationals; Sylvia Pankhurst, Lloyd George takes the Mask off; [?] Paul, Hands off Russia; [?] Price, Capitalist Europe and Socialist Russia; [?] Price, Origins and Growth of Russia Soviets; [?] Newbolds, Bankers, Bondholders and Bolsheviks; [?] Newbolds, Menace of American Capitalism; [?] Newbolds, Politics of Capitalism; Karl Radek, Socialism, Science to Practice; [?] Ransome, Six Weeks in Russia 1919; [?] Ransome, Truth about Russia; [?] Rickman, Eye-Witness from Russia; [?] Roebuk, Nationalisation of Women; [?] Sadoul, Socialist Soviet Republic; [?] Shumazki, Aims of the Bolsheviki; Boris Souvarine, Third International; [?] Stair, Worker looks at History; J. Stewart, An Appeal to the Young; [?] Tchitcherine, The Foreign Policy of Soviet Russia; [?] Tchitcherine, Russia’s plan for the League of Nations; Leon Trotsky, Bolsheviki and World Peace; Leon Trotsky, History of Russian Revolution; Klara Zetkin, Through Dictatorship to Democracy; [unknown] A Sketch of the Russian Trade-Union Movement; [unknown] First Code of Laws of Russian Republic; German Spartacist: Their Aims and Objects.